In the spirit of a belated Thanksgiving... sorry it took me so long. and thanks, Jose, for the assist! And now, I've got quite a bit of ketchup to do. But first, lots and lots of coma. wOTTerfall hosted at chirpingmustard - thanks Aluisio! In case of chirpingmustard mustard, check http://xkcd-time.wikia.com/wiki/OTColor ... rfall2.gif for redundancy. Last edited by ggh on Wed Feb 01, 2017 5:35 am UTC, edited 1 time in total. Wow, that is amazing, ggh! Did you do them all by hand? Wow, ggh! And happy 500, too! 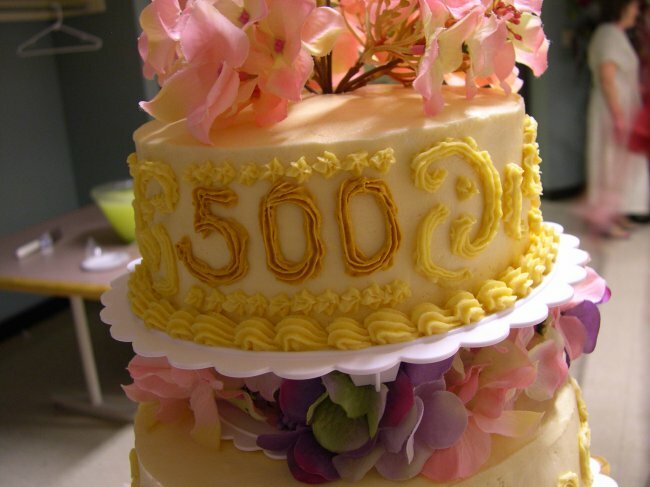 TheMinim wrote: And happy 500, too! I was so distracted by the wowterfulness that I didn't even notice! Happy RNM, ggh! So I thought I'd share part of my "One True Symphony", the Starry Night portion. Think of it as a preview for the entire piece. It begins at frame 2380, and continues at a rate of one frame per two seconds (excepting the meteor frames, which all come right in a row) until the end of the night and all stars are gone. I will turn it into a Youtube video when I get the chance, but for now you have to just click through one of the players (Geekwagon is good because it preloads them, but bad because it doesn't display the meteor frames properly). The mp3 is at http://www.wikiupload.com/62W11TZK2VYWJWE. Yay, OTTish songs are infiltrating the Outside! Speaking of OTTish songs, I've finally got myself somewhat out of that pit of procrastination I was in earlier by making a good start on recordings for one of the new BlitzPoemSongs. Wait for it! taixzo wrote: So I thought I'd share part of my "One True Symphony", the Starry Night portion. Think of it as a preview for the entire piece. Last edited by yappobiscuits on Wed Dec 04, 2013 8:30 pm UTC, edited 1 time in total. Wowterful! Treeish! Molpish! All the positive OTTjectives!This is really cool, It's like a fancy OTT credit roll. all the OTTjectives! I'm looking forward to the full thing, and the video addition. Sounds awesome though. Yum! Cake for breakfast is my favourite! Thank you! And washed down with a big glass of nice words sure is sweet. Cheers! taixzo wrote: Wow, that is amazing, ggh! Did you do them all by hand? The distortion is procedural, the timing is semi-automatic (needing adjustments), and the avatars were alpha'd individually by hand (and in some cases, like Dracomax - where I wanted to use the original colours, but didn't have that avatar version - modified a bit.) Btw, Dracomax - that was me assuming that your old colours are the more permanent version - if you'd rather I use your current colour scheme, I should be able to do that without much fuss . I hope I didn't miss anyone who has posted recently. Let me know if I did - I'm worried that I've committed a horrible glaring oversight. Of course, every time I thought I had the timing sorted, someone would delurk or come out of the basement, so that was kinda painful, but also treeish at the same time. Finally I drew the line though; else I'd never have been able to post. Oh, and, help. While I was typing this, my little girl was mashing and slapping the keys on the lower left of my laptop. Now the whole desktop and everything is too large for the screen and moves whenever I use the trackpad. What happened? How can I make it go back? It's an old MacBook Pro. I'd try the F3 button, but F1-F6 haven't worked since she rubbed cheese into the leopard. "Wow" is apt but understated! Flutterbeewingish. And WOW again, anyway. And I'm in there. Squeeee! Thank you! The night scene does have a good deal more synths than the rest of the piece, to help set the mood I was going for. ggh wrote: Yum! Cake for breakfast is my favourite! Thank you! And washed down with a big glass of nice words sure is sweet. Cheers! ggh wrote: Oh, and, help. While I was typing this, my little girl was mashing and slapping the keys on the lower left of my laptop. Now the whole desktop and everything is too large for the screen and moves whenever I use the trackpad. What happened? How can I make it go back? It's an old MacBook Pro. I'd try the F3 button, but F1-F6 haven't worked since she rubbed cheese into the leopard. Made me laugh, ED! Molpish! Awesomeful "Starry Night" section, taixzo. And WOW, ggh. WOW is very appropriate! Thanks! And happy 500th postiversary! Yay! I am saved! Thank you! Not sure whether any of them have an abundance of molpies though. One is near a lake (which is usually rather empty rather than seaish) and I'd rather stay away from snakes. Plenty of trees though. Nice music, @taixzo! I love how it syncs so perfectly with the OTC (which is the point, I suppose, but it does it very well! ), can't wait to hear more! And impressively wowterful gif, @ggh! I solved my little linux problem, by the way. Folks over in the help desk pointed me to a different USB image creator that allows for persistence, and that works perfectly. @ggh Awesomeful!1, 3, 4, 7, 8, 11! ETA: If BlueCrab sees this, I managed to get you into an Outside Drawception hotdog! 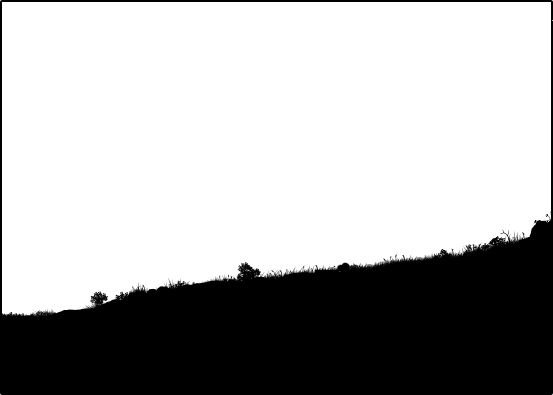 Also awesomeful and atmospheric. I liked the chirps, especially. @ggh - Totally like unto a Baobab, and generating a seaish amount of amazificaton! @taixzo - Just... wow! I am constantly impressed by the sheer amount of talent in this thread and the generosity with which it is shared. Treeish discovery chem1190c! I wonder how many more of these relics will be found... and if they twist like Rubic cubes. Nice Otthercomic ZoomanSP. It has so many molpies, and raptors, and labels, and.... things! @BlitzGirl - lovely ode to Ottification. I'm looking forward also to how yappobiscuits musicifies it. @StratPlayer - as you can see, the OTT is still going strong. I'm still writing Acts of the Clerics, (now in its third act) and other otters are still putting together amazing things! There is now an ecclesiastical calendar, so that your days of Waiting For It can be properly marked. On the Outside I'm still doing my theatrical antics (whatever I can squeeze in after Waiting For It)... we close Becky's New Car this weekend (an adorable play, btw) and then after the one-acts, I'll start work on the Clean House. Alas, it's somebody else's clean house; my own will retain its present entropy level for now. Treeish! We wouldn't want you to be yappo, because then you wouldn't be Eternal Density. Remember the Prayer of BlitzGirl. ... As grains of Sand(semencancercoffeebabies) in a Sandcastle, this needle-pulled thing works best when we are not all of the same shape. Our quirks clasp us together all the more strongly, so that when we Wait for it together - whatever Time we may travel, whatever sect we may splinter, whatever graph or song or hat we share - we are not alone. For though Time may scatter us among the pastposts and the Present, in the end, it is also what brought us to this mad, mad, glorious home in the first place. Welcome questers january1may, mattachu, and solzerid May your journey be full of wonder, awe, and everything molpy! This phone-therapy has turned me back onto poetry, it seems, because here's another epilogue poem! Rhyme scheme is EDBADECBCBDCAECDBABABADC, the Sequence of the Oughts, listed in green on mscha's page. Soup wrote: @ggh Awesomeful!1, 3, 4, 7, 8, 11! oh hey, I didn't know you were on drawception. I must follow you! (I'm JohnLee there, because I foolishly failed to give myself a username. And that's a pretty Epilogue Poem, blitzgirl, as always. I have to try one of those soon. There's something cool about a computer generated rhyme scheme. ergman wrote: oh hey, I didn't know you were on drawception. And a new epilogue poem4 by BlitzGirl! The DragonDashery's Festive Red Wool Winter Hat line is getting good business this time of year. I wonder why. Just another outsider stopping by to admire this thread. No. I don't understand it. I like it anyway. Guess what? You're not an outsider. Psst, have you watched this gif that ggh made? Re: Hotdog layout broken and fixed and broken and fixed and. Eternal Density wrote: CSS is hard!